This is something that might well surprise you, as it did me. It’s to do with a fat in the coffee beans. 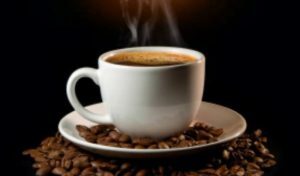 However, different coffee preparation methods result in different amounts of this fat actually getting into your cup and eventually into your body. 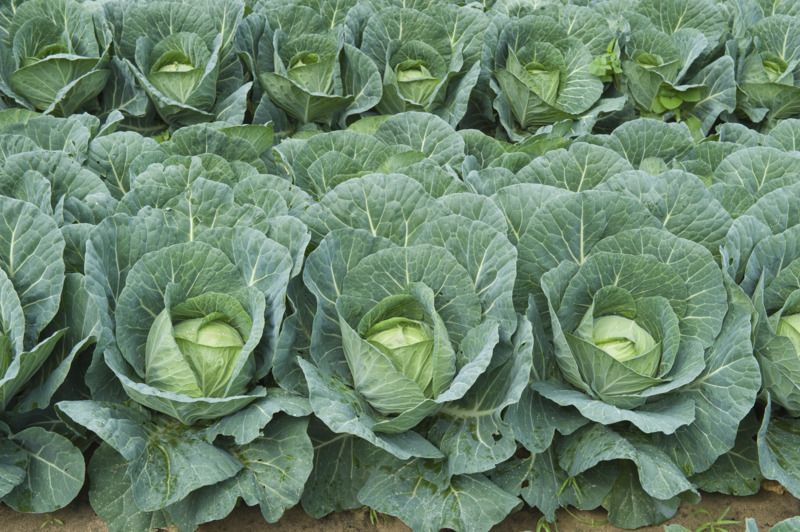 A video 1 by Dr Greger covers this in more detail, with some historical reasons why this interesting phenomenon has not been well-known for some time; but I just want to pick out the salient points. Firstly, how do we really know that this is the case? 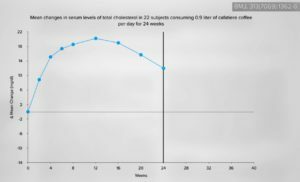 Well, there’s plenty of research going back over decades 2 3 showing that, indeed, there’s no doubt about the fact that drinking coffee can increase serum concentration of total and low-density-lipoprotein cholesterol in humans, and that abstaining 4 from coffee-drinking reduces cholesterol levels. 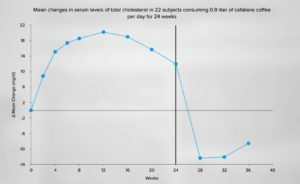 It doesn’t do the same for rats, hamsters or chimpanzees, interestingly enough; and that’s one of the reasons that animal tests didn’t throw up any worries about its potential cholesterol-raising effect on humans. The lipids (fats) causing the problem are called cafestol 5 (in particular) and also kahweol 6 . An ideal coffee preparation method would extract all the lipids before they found their way into the cup. However, no methods appear to do this, and some let a lot more through than others. 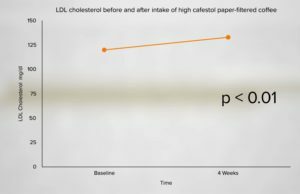 Various studies 7 8 show that preparing your coffee in a cafetiere (with its metal grid filter) is the least effective at removing the cholesterol-raising lipids. 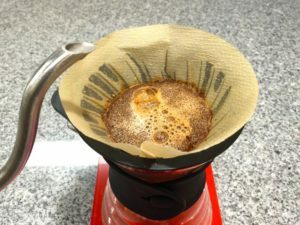 You can probably tell this from the fact that there’s always a bit of a slurry of coffee grains at the bottom of the cup, no matter how slowly you push down the filter knob. Scandinavian egg boiled coffee (yuk!) and Turkish coffee both boil the ground coffee and pour into a cup without any filter. It’s pretty clear that this type of preparation method is not going to get rid of the coffee grounds, and hence the lipids. Turkish coffee is prepared in a special special pot called a cezve, uses very finely ground beans and has sugar added while the water (and coffee grounds) are boiling. 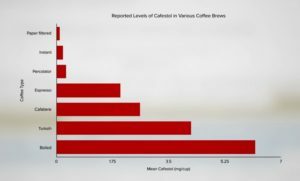 It appears to have slightly less cholesterol-raising effect than simply boiling the coffee grounds – with or without the egg. 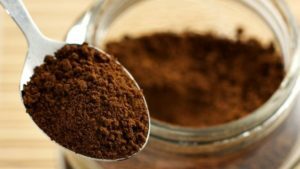 Instant coffee retains around the same amount of lipids as paper-filtering. Not as bad as the other methods, then. 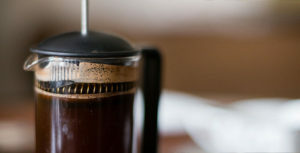 You’ll see that paper-filtered and instant coffee are most effective, but percolated is also pretty good, at least when compared with the likes of espresso, cafetiere, Turkish and boiled.